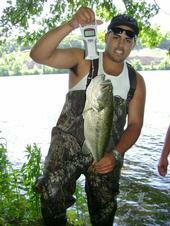 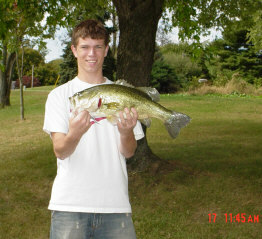 New World Record Largemouth, RELEASED??? 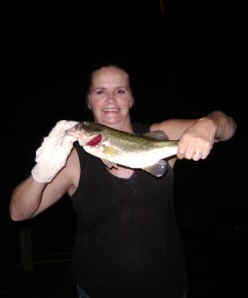 Well how about if you just tossed a MILLION DOLLAR fish back !! 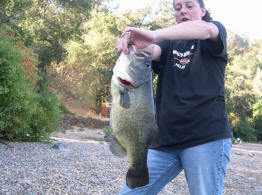 Paul Duclos of Santa Rosa, California caught this lunker at Spring Lake, CA. 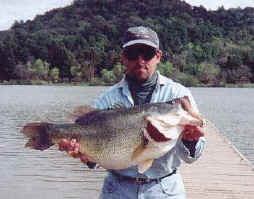 a 75-acre lake near Santa Rosa. 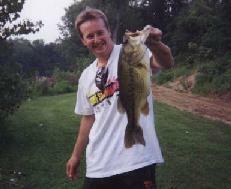 Duclos was using a 9-inch Castaic Rainbow crankbait with 25-pound test line. 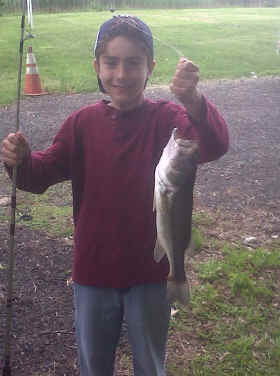 The fish fought for less than two minutes. 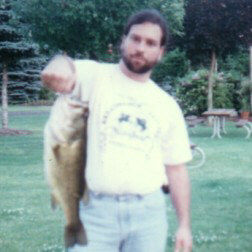 He knew the bass was huge, but didn't think it would break a world record. 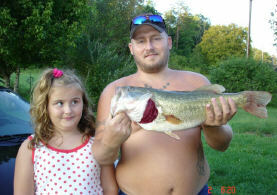 He called his wife and she brought a bathroom scale and the fish weighed an even 24 pounds. 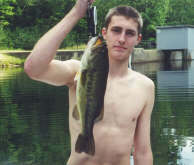 After taking a photo of the fish he released it. 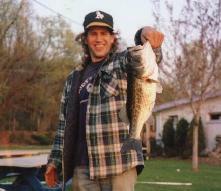 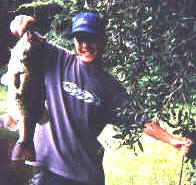 He said that he has never killed a bass, but in retrospect he probably should have kept this one. 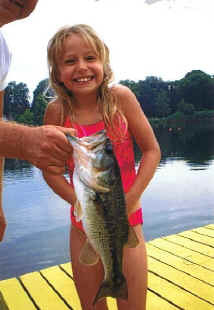 The fish is estimated to be around 12 years old. 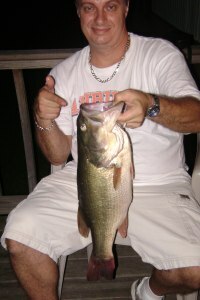 Most of these were caught at Lake Silver Springs, NJ. 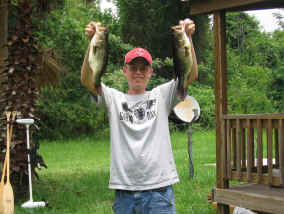 Others from Florida, California, Tennessee, New York, Alabama and elsewhere. 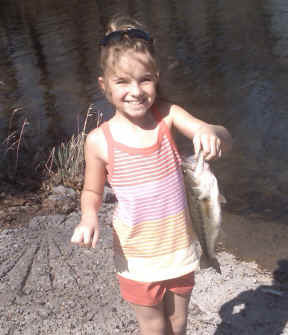 Alyssa landed this largemouth at Lake Silver Springs with a little help from her friends. 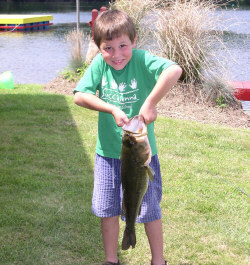 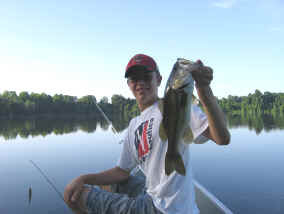 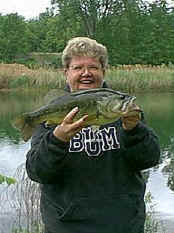 Sheridan caught this largemouth at Lake Silver Springs. 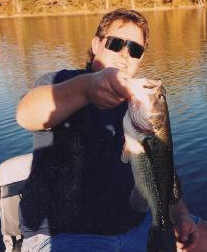 Gregg caught this largemouth at Lake Silver Springs. 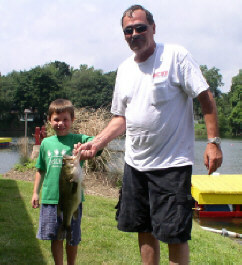 Ron also caught his largemouth at Lake Silver Springs. 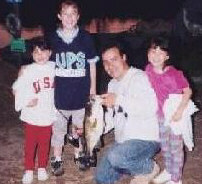 Digital photos courtesy of Grandma, who keeps an eye on both.